Theofanis Varvoglis has a doctorate in Marketing from Virginia Polytechnic Institute and State University, Virginia. He received his MBA from Adelphi University, New York and a Bachelor’s Degree in Economics from the University of Macedonia, Greece. He has been a professor at San Diego State University, and also taught at the University of Aegean and the University of Macedonia. 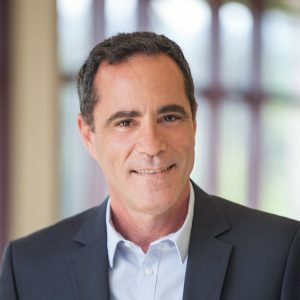 His research findings have been presented in the United States at conferences of the American Marketing Association and the Academy of Marketing Science and has appeared on television in the United States and Greece on topics related to his specialty. He has written articles in the area of consumer behavior, marketing strategy and non-profit marketing. He has also participated and ran transnational European projects on education. He is also, a certified international mediator specialized in commercial dispute resolution. He had his own consulting firm and also worked as in independent consultant. He was Dean of the Anatolia School of Business at the American College of Thessaloniki, Greece and served on the Board of the State Museum of Contemporary Art. He has been a trustee of Anatolia College for 12 years and President of its Alumni Association and of the Greek Institute of Marketing as well as member of the executive board of the Greek Management Association. His research and teaching interests include entrepreneurship, managerial decision making and consumer behavior. He currently is Professor of Marketing at the American University of Armenia. Bachelor of Arts in Economics, Graduate Industrial School of Economics, 1979. Agassy Manoukian is an Associate Professor who has joined the MSCBE team in Fall 2013. He currently teaches Operations Management, Supply Chain Management, Management of Information Systems, Project Management and Entrepreneurship courses. He has also been involved with California State University, Northridge and California Lutheran University as Visiting Professor. He holds PhD in Manufacturing and Technology Management (University of Toledo, OH, USA), Master of Business Administration in Finance and International Business (University of Toledo, OH, USA), Master of Science in Industrial Engineering (American University of Armenia, Bachelor of Science in Mechanical Engineering (State Polytechnic University of Armenia) degrees. 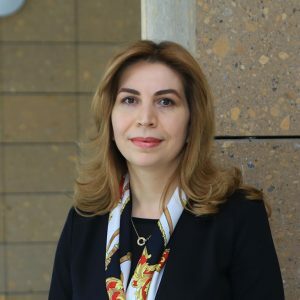 Dr. Manoukian has wide research interests, including operations management, entrepreneurship, partnership synergy technology commercialization, and clean-tech/renewable energy. He has a vast practical prior experience as president and CEO of a hydrogen fuel cell company, which he led for decade since its establishment. 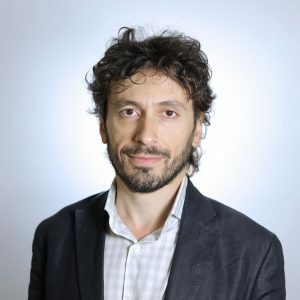 Also, Dr. Manoukian has been involved in a number of international and local projects in various roles, including as a leader, consultant, trainer, and mentor. He has coauthored several books and many scientific/research articles. Dr. Manoukian has delivered keynote speeches and presentations at scientific conferences around the world. Wide research interests, including operations management, entrepreneurship, partnership synergy technology commercialization, and clean-tech/renewable energy. A. Manoukian, H. HassabElnaby, V. Odabashian, A Proposed Framework for Renewable Energy Technology Commercialization and Partnership Synergy: A Case Study Approach, American Journal of Business, Volume 30, Issue 2, pp. 147 – 174, 2015. A. Manoukian, H. HassabElnaby, V. Odabashian, Technology Commercialization Review: Aiming at a Fresher Perspective Based on Partnership Synergy, International Journal of Management Research & Review, Volume 5, Issue 7, July 2015. V. Odabashian, The UN Initiative “Sustainable Energy For All” and Results of a Study on Investment Environment For Sustainable Energy Development In Armenia, Annual Scientific Conference of the State Engineering University of Armenia, Yerevan, 2015. A. Manoukian, H. HassabElnaby, V. Odabashian, Impact of Management Compensation on Success of Startups. Proceedings of the 2014 Annual Meeting of the Decision Sciences Institute, Tampa, FL, USA, 2014. A. Manoukian, V. Odabashian, R. Mnatsakanyan, Certain Prospects of Higher Temperature PEM Fuel Cells Research and Development, 2006 Fuel Cell Seminar, Honolulu, HI, USA, November 13-16, 2006. V. Odabashian, A. Manoukian, A Hydrogen Outlook from a Transition Economy: Development of Hydrogen Fuel Cells by H2 ECOnomy in Armenia. The International Seminar on the Hydrogen Economy for Sustainable Development, Reykjavik, Iceland, September 28-29, 2006. A. Tadevosyan, N. Beknazaryan, V. Odabashian, A. Manoukian, G. Shushanyan, Optimized Decision Making in International Business and Marketing: Practical Problems, Tchartaraget, Yerevan, 2006, (in Armenian language, Textbook adopted for instruction at State Engineering University of Armenia). A. Manoukian, A. Tadevosyan, V. Odabashian and A. Lalayan, Manual on International Marketing, Tchartaraget, Yerevan, 2005, (in Armenian language, Manual adopted for instruction at State Engineering University of Armenia). A. Manoukian, A. Tadevosyan, and V. Odabashian, International Management, Tchartaraget, Yerevan, 2004, (in Armenian language, Textbook adopted for instruction at State Engineering University of Armenia). V. Odabashian, A. Tadevosyan, and A. Manoukian, International Business Basics, Tchartaraget, Yerevan, 2003, (in Armenian language, Textbook adopted for instruction at State Engineering University of Armenia). G. Karamyan, R. Mnatsakanyan, H. Sargsyan, Kh. Gyulumyan, V. Odabashian, A. Manoukian, V. Melikyan, V. Vardanyan, A. Danielyan, Development of Fuel Cells by H2 ECOnomy, 2003 Fuel Cell Seminar: Fuel Cells for Secure, Sustainable Energy, Miami Beach, FL, USA, November 3–6, 2003. 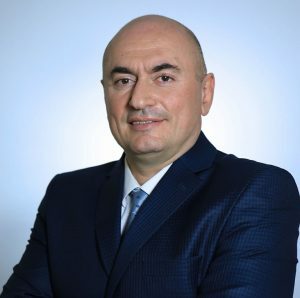 Mané Beglaryan is an assistant professor at the Manoogian Simone College of Business and Economics, American University of Armenia teaching management-related courses to Professional MBA, MSSM and B.A. in Business Administration students. Dr. Beglaryan comes with a background in management consulting both in public and private sector having worked for leading consulting companies in Washington, DC. USA. Her main areas of interest are public and private sector management, strategic planning and execution, organizational gap analysis, development and optimization, change initiation and institutionalization, program evaluation. Her teaching expertise includes organizational management, negotiations and human resources management. Dr. Beglaryan has completed her Coach Certification with Erickson International – one of the leading coaching programs affiliated with International Coach Federation (ICF) and is also CMI certified (UK-based) on organizational change management and strategic leadership. Doctor of Philosophy, (PhD), National Academy of Sciences, Yerevan, Armenia, 2018. BUS 306 -Professional MBA program: Managing People and Organizations (BUS 305, 3 credits), Human Resource Management (BUS 307, 3 credits), Managerial Negotiations ( 2 credits). MGMT 341 – in Strategic Management: Organizational Behaviour (3 credits). BUS 112 – A. in Business: Social, Legal and Ethical Environment of Business (3 credits), BUS 105 – Foundations of Management (3 credits), BUS 207 – Human Resource Management (3 credits). UNDP Publication, Yerevan 2008, Armenia. Analysis of Youth Employment Opportunities in Armenia-Supporting Young Entrepreneurs, UNIDO, Vienna International Centre, Vienna, 2012, Austria. Women Connect Across Conflicts: Building Accountability for Implementation of UNSCRs 1325, 1820, 1888, 1889, Gender Mapping Study: Armenia Chapter, UN WOMEN Georgia, 2012, Tbilisi, Georgia. How has certificate program(s) contributed to your career advancement in the workplace? (work in progress). Peculiarities of implementation of management function in SME. «Problems of Science» publishing house, “ECONOMICS” , №2 (34), 2018, pp. 14-19. Бегларян М.А., Проблемы организационных структур малых и средних предприятий в Армении. Научный журнал «ИНТЕРНАУКА», Издательский дом “Интернаука”, № 4 (44), 2018, 2 т., с. 7-10. 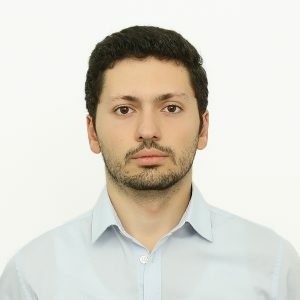 Hrant Davtyan is also the co-founder and CTO of METRIC research center and a contracted expert providing consultancy on Statistics and Economics to several private and international organizations. His core competences and expertise include Big Data Analytics, Statistical Modelling, Customer/HR Analytics and Operations Management. Mr. Hovhannisyan has joined the CBE team in Spring 2014. 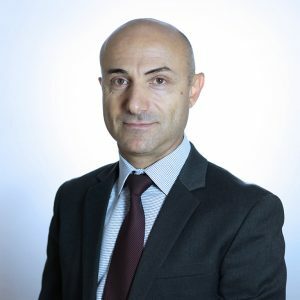 Mr. Hovhannisyan has about 20 years of experience in auditing, consulting and financial management in Grant Thornton CJSC, FINCA UCO, Millennium Challenge Account Armenia and currently is Audit Partner of BDO Armenia CJSC, one of the big five global accountancy firms. Mr. Hovhannisyan has acted as engagement partner for many biggest enterprises in Armenia and abroad operating telecom, public utilities, energy, financial services and other industries. He also performed as an expert for review of translated IFRS. Mr. Hovhannisyan is an ACCA member, licensed auditor of the Republic of Armenia, lecturer and examiner member of AAAA (Association of Auditors and Accountants of Armenia). In parallel with his professional career Mr. Hovhannisyan started lecturing professional qualification courses in IAB Center, Financial Banking College and AAAA since 2005. Zaruhi Tonoyan, MPA is coming with a solid education and professional background in international development sector for over 20 years, having work assignments in Gaza Strip, Tajikistan, UK, and USA. She has been working in such international organizations as CARE International, Red Cross, CRS, World Vision, Eurasia Foundation, and OXFAM while managing large-scale projects. She has Master of Public Administration from the University of Georgia, USA. Zaruhi is a certified Project Management Professional (PMP), as well as possesses certificate in Management Consulting Essentials from the UK Chartered Management Institute (CMI). She was a John Smith Fellow (2003) and successfully completed her assignment at UNDP in Great Britain preceded by public policy course at Aberdeen University (Scotland). She is currently teaching Project Management for MSSM program students at AUA, as well as engaged in Certificate Program for NGO Management as a Project Management Instructor implemented by AUA Extension. Besides, Zaruhi is a CMI trainer, providing international qualification courses on Management and Leadership (CMI Level 7) partnering with International Academy of Business (IAB) in Armenia. 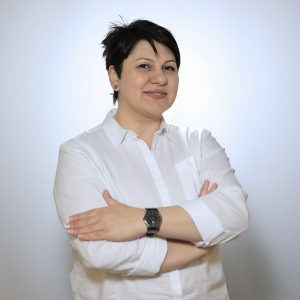 Finally, she is also a faculty member of State Medical University of Armenia where within the frame of Executive MBA program she is teaching Human Resources Management. In parallel to her academic career, Zaruhi is currently working at OxYGen foundation (Oxfam International spin-off) as a Monitoring and Evaluation Manager providing expert knowledge on design, implementation, monitoring and evaluation of all programs. Zaruhi’s research interests range from organizational resilience to human capital development. Research Activities: Zaruhi’s research interests range from organizational resilience to human capital development.